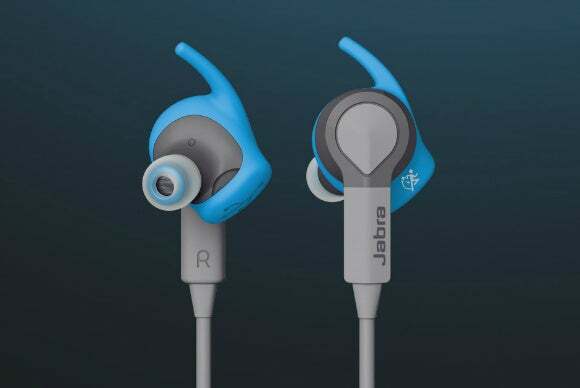 This week's roundup includes the Jabra Sport Coach, earbuds that can also measure your athletic performance. 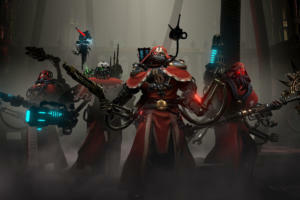 Like some other new device we've been hearing about. This week’s roundup includes the Jabra Sport Coach, earbuds that can also measure your athletic performance. Like some other new device we’ve been hearing about. 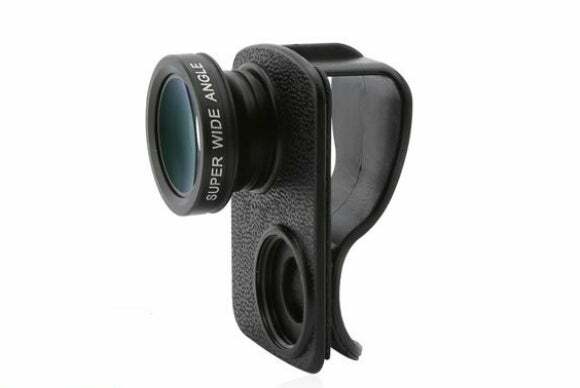 The $12 Clip-on Super Wide Angle Lens works with both late-generation iPhone and iPad models. It easily clips on to offer a wide-angle view for your device’s camera, and you can order additional lenses that fit the clip. 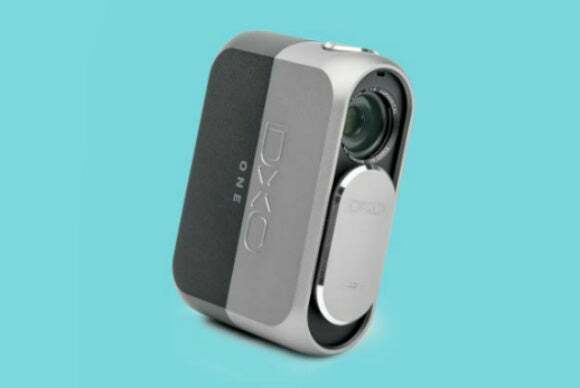 The DxO One helps give your phone the power of a DSLR-quality camera. The sensor slips into your phone’s Lightning port and captures 1080-pixel video (or still images at 20.2 megapixel resolution.) Battery life lasts for 200 photos. 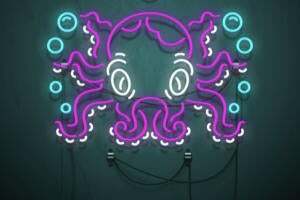 It ships in September. The $149 Jabra Sport Coach is a bit different from your usual set of earbuds. Yes, it delivers music—it features Dolby Sound Enhancement to give your tunes the crystal clear hearing they deserve—but it also features a motion sensor that measures distance, pace, steps, cadence and calories burned. 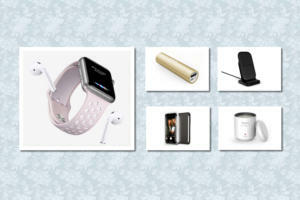 It’s like an Apple Watch for your ears! 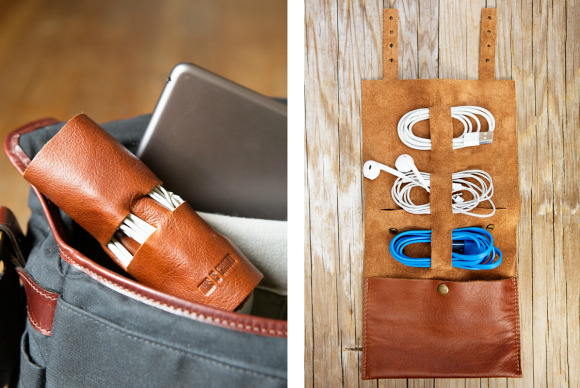 The $99 Refined PJ Gift Bundle includes a leather cord holder and a wood-paneled backup battery that holds up to two charges for your iPhone. All that’s missing is Ricardo Montalban purring about “rich Corinthian leather” to make this item even classier. 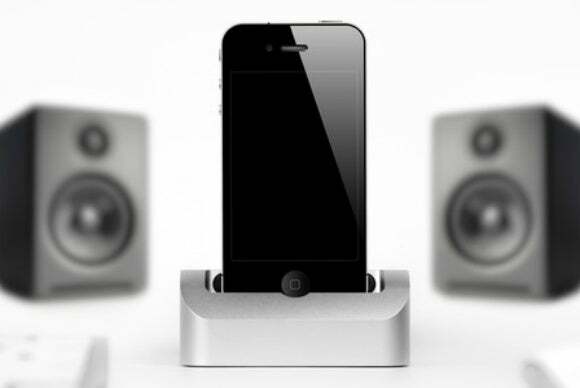 The $30 Satechi IQ Plug lets you use your iPhone as a remote control for all your electronics. 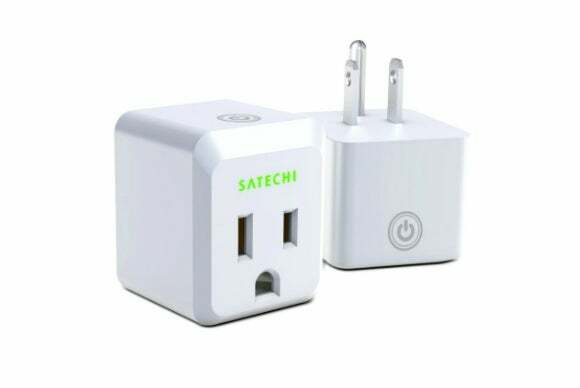 Just plug it in, plug your electronics into it, then use Satechi’s IQ Plug app to control power to those devices. 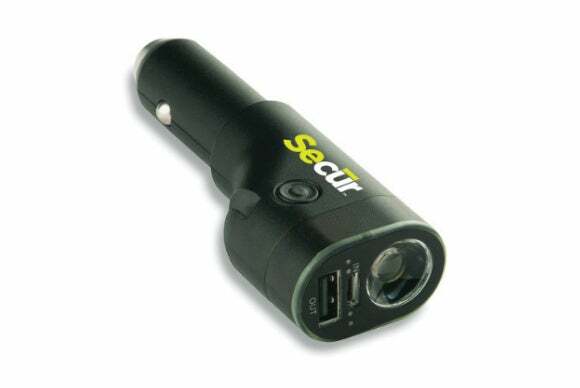 The $40 Secur Six-in-One Car Charger includes a 2,000-mAh battery, a high-power flashlight, a flashing red emergency light, an emergency window breaker, and an emergency seat belt cutter. If that doesn’t cross off most of the items in your survival checklist, what will? The $100 UE Roll is a “pint-sized” Bluetooth speaker that blasts sound in a 360-degree radius. 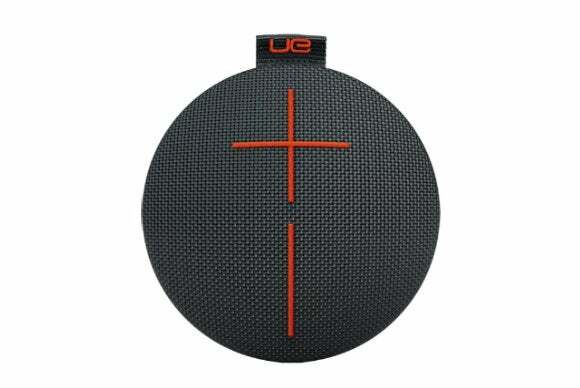 It’s waterproof, stain resistant, has a 65-foot wireless range, and can play audio for up to nine hours on a single charge.